Celebrate this sacred month of Ramadan staying and dining lavishly at Shangri-La Hotel, Jakarta. Dine in the exoticly luxurious Moroccan décor with the best selection of Indonesian food specially curated by Chef William Wongso, the renowned Indonesian culinary expert, cookbook author and Indonesian food ambassador only in SATOO by Shangri-La Hotel, Jakarta. Break the fast with a selection of takjil favourites such as Kolak Pisang, Biji Salak, Puding Kelapa, Es Loder, Kue Putu, Dadar Gulung and more. 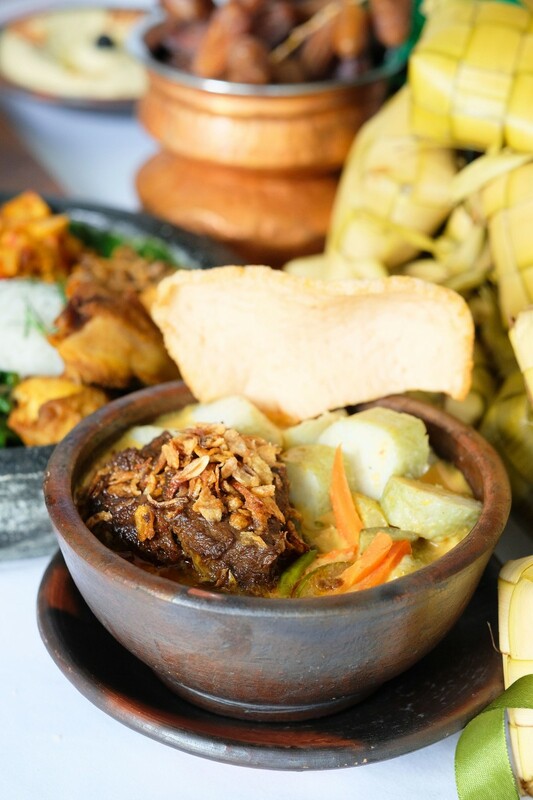 Savour the signature dishes of Lontong Rendang and Nasi Goreng Hijau served with Oxtail Soup whose delicious and savoury taste will pamper the taste buds and nourish the body after the long fasting period. Savoury, tender and aromatic, the signature Lontong Rendang is the perfect dish to savour heartily in the Iftar feast by SATOO by Shangri-La Hotel, Jakarta. 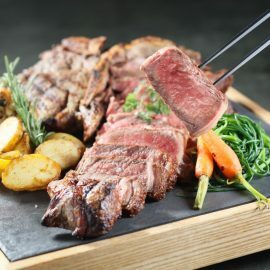 Also feast on the selection of other specialties such as Roast of Beef Rib Eye, a Mezze Selection, Kambing Guling, Lamb Ozi, Chicken and Beef Shawarma and more that will keep you feeling satisfied all night. SATOO’s splendid dinner feast will be available from May 6 to June 5, 2019 for IDR 428,000++ per person during weekdays and IDR 478,000++ per person during weekends. 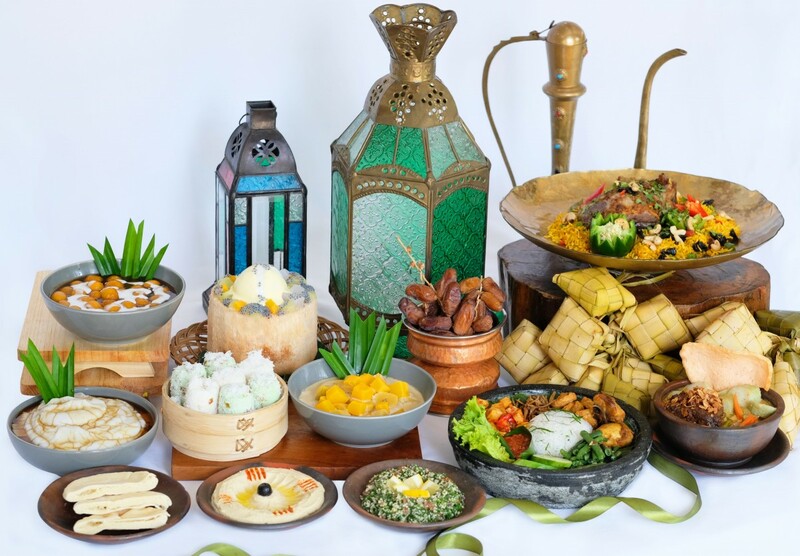 SATOO also offers a special Eid Al-Fitr feast on June 5 and 6, 2019 that features popular Eid Al-Fitr menu such as Ketupat Sayur, Sambal Goreng Ati, Bakso, Chicken Shawarma, a Mezze Selection, Lamb Ozi and more that can be enjoyed for only IDR 368,000++ per person. 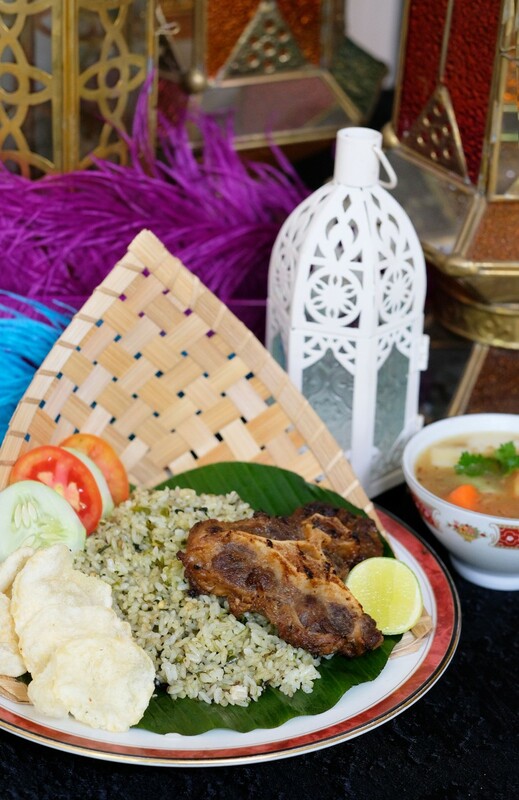 Served with Oxtail Soup and made with local green chilli, the Nasi Goreng Hijau served with Oxtail Soup is a must try while breaking your fast at SATOO by Shangri-La Hotel, Jakarta. Give your loved ones the perfect Ramadan gift this Eid Al-Fitr with SATOO Deli’s Ramadan hampers. Available only from May 1 to June 6, 2019, the hampers adorned in viridian green with a shimmering gold design will feature specially crafted Indonesian signature cookies such as Nastar, Kastengel, Putri Salju and more. The available packages are Mubarak, a goodie bag with two (2) Eid Al-Fitr cookie boxes priced at IDR 128,000++, Shukran that comes at IDR 398,000++ for three (3) cookie boxes and lastly, Kareem that comprises six (6) cookie boxes that is available at IDR 498,000++. Stay and dine on this sacred month of Ramadan at Shangri-La Hotel, Jakarta and have a chance to win a two (2) return tickets to Muscat, Oman, by Etihad Airways along with a luxurious staycation at Shangri-la Barr Al Jissah Resort & Spa, Sultanate of Oman arranged by Shangri-La Hotel, Jakarta, Etihad Airways and DBS Bank. 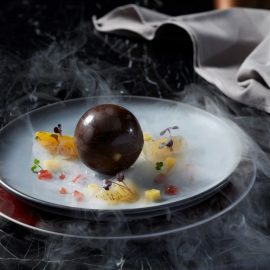 For more information or reservations, please kindly contact +622129229999, email fbreservation.slj@shangri-la.com or visit http://www.shangri-la.com/jakarta/ .